Seiler – Field2GIS is a mobile field data collection solution that makes capturing and sharing data easy. The Seiler mobile GNSS app brings sub-meter to centimeter accuracy to mobile devices, even the most demanding users can take advantage of the modern user interface. 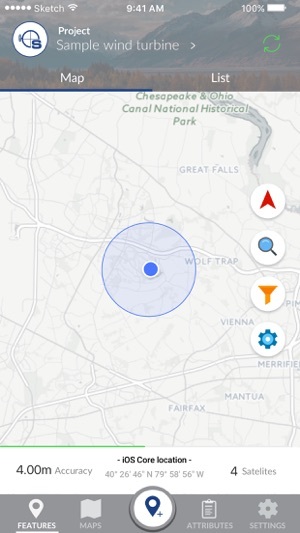 * User locator, when enabled, utilizes your GPS to report back your location. Continued use of GPS running in the background can dramatically decrease battery life.